Good morning all! Just a quick post to say I am here in sunny Captiva Island, far from the cold and snow in Ohio. Looking out at sunny blue skies, palmtrees and tropical flowers and listening to the sounds of ospreys flying over head as I sip the first cup of coffee. I also have a blog that I write about our stays in Captiva and will post a link when I begin writing and adding pics on our visit here. Will be in the 70's today and in the 80's tomorrow. Stay tune for more weather updates! Thanks for stopping by! Theresa. Welcome to my studio! I am so happy to be a part of this hop in honor of Colleen's daughter, Valerie, who she lost in a one car black ice accident about ten years ago at the age of nineteen. 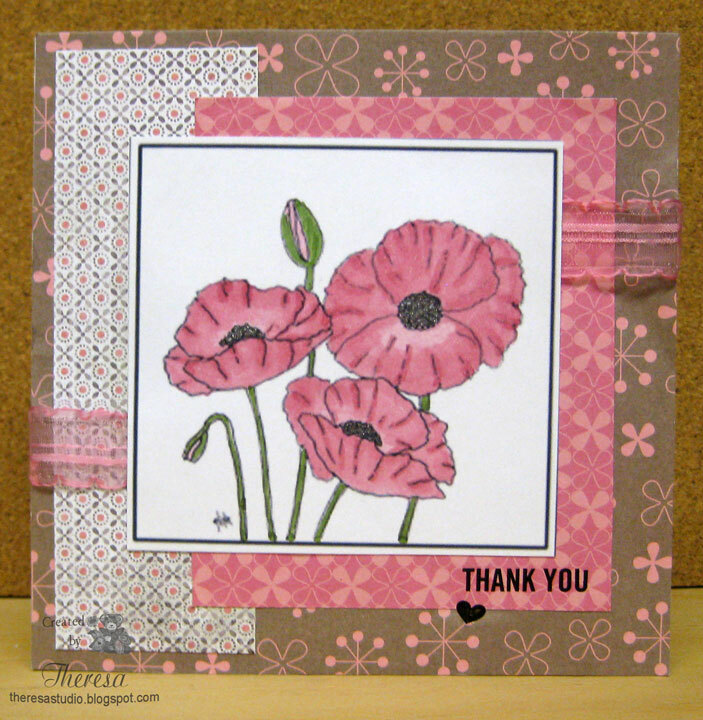 Fourteen of Colleen's blogging friends including myself have joined together to make cards with the lovely stamp "Valerie's Gift", a very special stamp from Whimsy Stamps named after Valerie. The stamp company chose to name this stamp that was released last year to honor Colleen's daughter and called it "Valerie's Gift" as they knew how much Valerie was a gift to her. I chose the verse for my card because Valerie was such a blessing to Colleen, even though she was here on earth for only a short time. It was so much joy to make this card. Colleen, I hope it will make you smile as well as everyone else who drops by. Basic Grey: Theme is Flower Power- used Basic Grey Hopscotch. 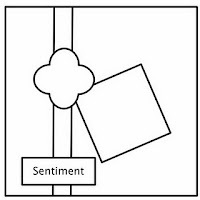 Creatalicious Challenges: Create something that shows ribbon. PaperPlay Challenges: Layer it up. Your next stop on the hop is Cheri. The list of the complete hop is listed below. 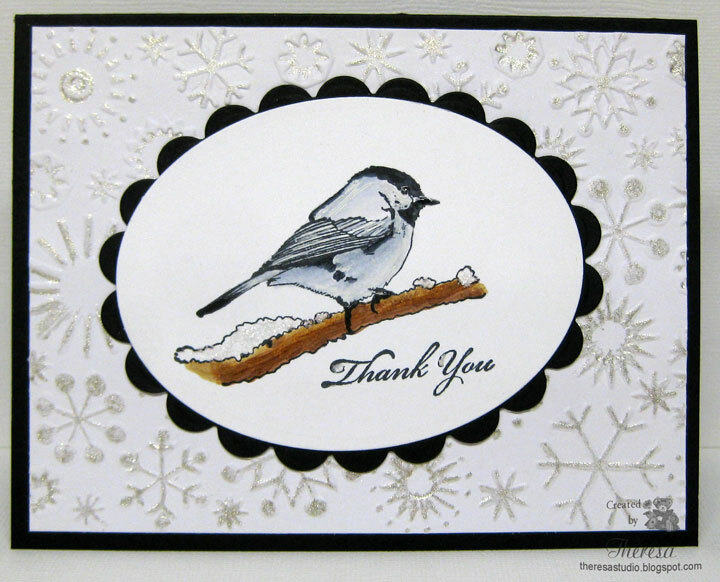 I feel very honored to be part of this group with such great talent and enjoyed making this card for my cyber friend. Thanks to Mary Anne and Olga for inviting me to be part of this special hop for our online friend. Sending you love and hugs, Colleen. 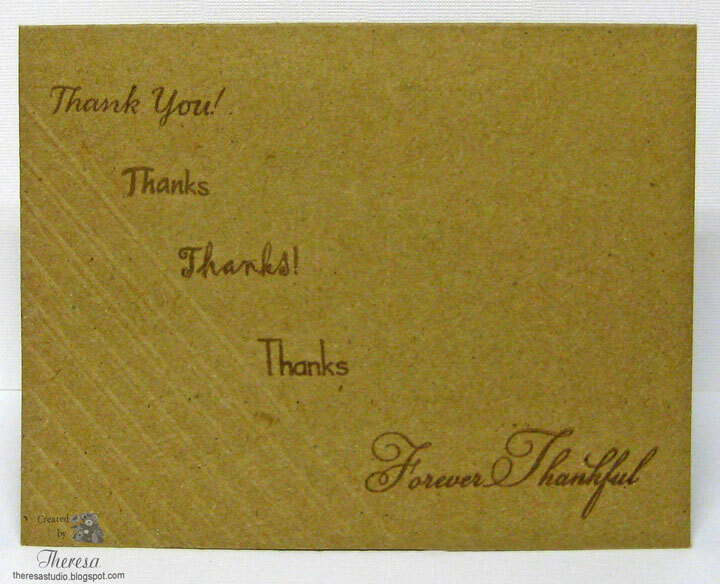 I was just playing with some kraft paper to see if I could make a one layer card using only sentiment s stamps. This is for the challenge at Simplicity's One-Layer Wednesday Challenge to use more than one sentiment--at least two Sentiments on one card!!!!! NO IMAGE STAMPS ALLOWED!!! Did some scoring with scor-pal on top card and used the scor-bug on bottom card. 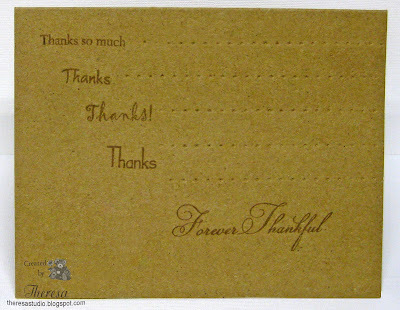 Sentiment Stamps are from Flourishes "Humming Along" and Mark's Finest Papers "Thankful Mums and Pumpkins" and "Hello Sunshine". Used Memento Rich Cocoa Ink. Photos kind of distorted cards...sentiments are stamped straighter than shows...BIRL. 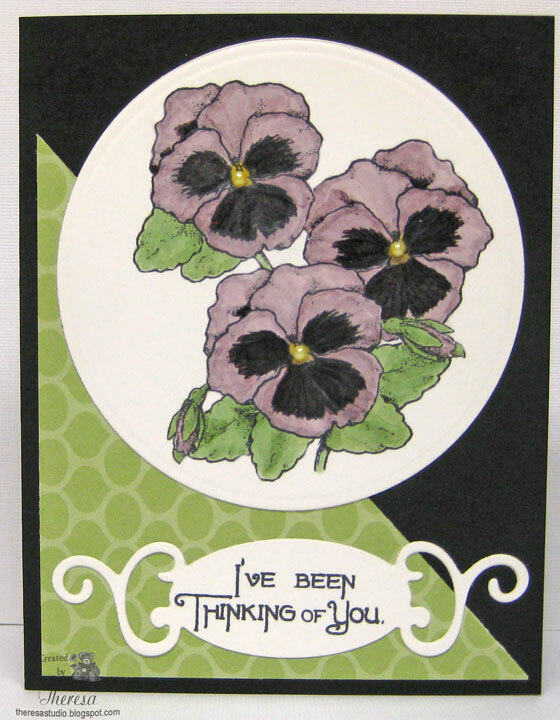 I have been enjoying the new colors of Copics that my DH gave me for Christmas including the violets and greens that I used to color this pansy image. Thank you, DH! I love how the card came out. I do not often use black as a base but this was a challenge so thought I'd do it and I think it came out ok. Used a new stamp set recently released at Mark's Finest Papers. Speedy the Cat's Challenge: Make a sympathy card. Thought this sentiment was very appropriate. PaperPlay Challenges: Use black as base. Stamp TV: Sketch challenge shown on lower right. Wee Memories: Free your creativity. I will not have much time for card making this week because we are leaving for sunny Florida soon. Have to get packed and prepare for the trip. Welcome to my studio. Today my card is one that I made for my younger sister.....this stamp reminds me of us together when we were young. Followed the sketch shown on the right. Colored the image with Copics and used 2 pattern papers for background...one with hearts for love to my sister. Made flowers using die cuts and punch with brads. This is a larger card than I usually make but the size of the stamp needed the space. Wags n Whiskers: Theme is With Love...Stamp is "Love You Sis" and paper has a heart theme. Timeless Tuesdays: GO BIG! The challenge is to create an over sized card… something that is at least 5 by 7″! 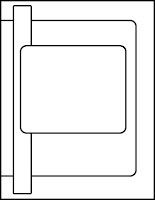 My card is 5.5 by 8.5". 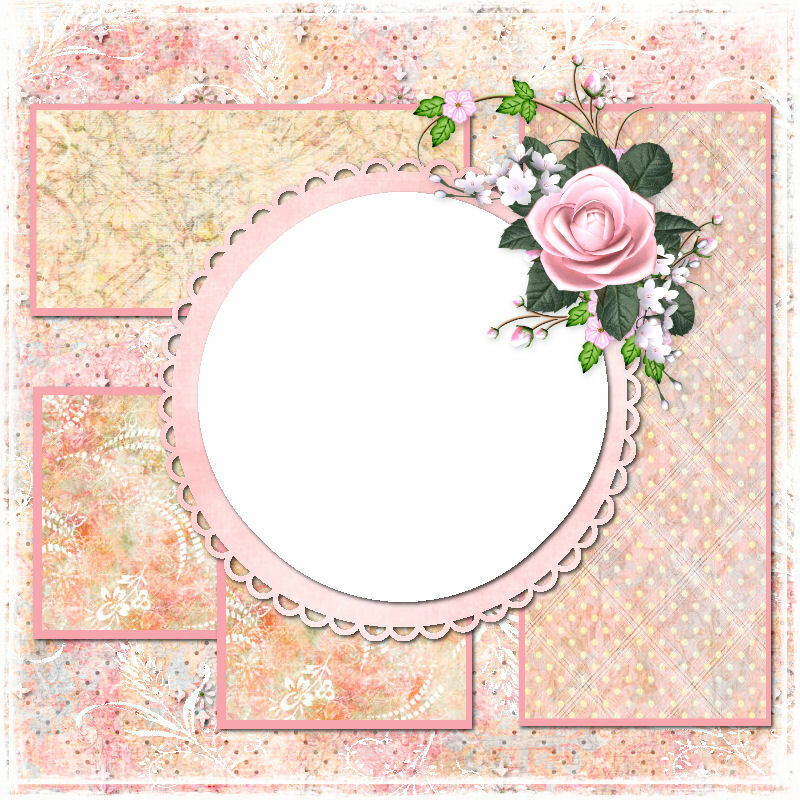 Bearly Mine: Recipe Challenge-3 flowers, 2 design papers and 1 image. City Crafter Challenge: Use handmade flowers on your project. Made with die cuts and punch with brads. Basic Grey Challenge: Challenge is dots and spot. Basic Grey papers from Hopscotch have dots and spots as well as the boots in the image. Also used Basic Grey brads. Cute CardThursday: Recipe- Use 1-2-3 recipe. Mine is 1 image, 2 Designer patterns, 3 Flowers. Oldie But Goodie Challenge: Bright and cheerful. This stamp meets the old requirement of 6 months and is a rubber stamp. Stamp: Wags 'n Whiskers "Love You Sis"
My sister's birthday is in March...for once I have a card made ahead of the date. Thanks for dropping in for a look. Card Patterns has a great sketch this week as always...decided to make a gate fold card using that sketch and the Teddy with Flower stamp from LOTV. Used some new paper from Basic Grey which I also used to finish the inside of my card which you can see below. 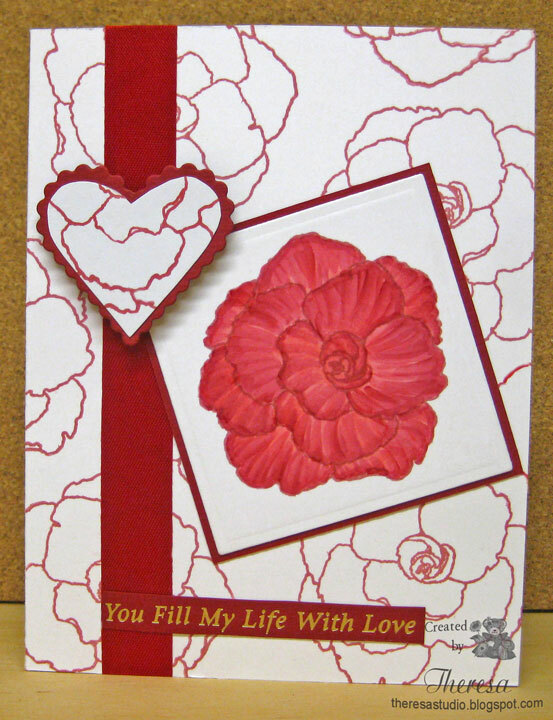 Stamped and Cut Out Flower to hold card closed. Lili of the Valley: Things with Wings - the only LOTV stamp I have with wings is this one with butterflies...cut out 2 of the small one and attached. Their prize this week is from The Ribbon Girl. 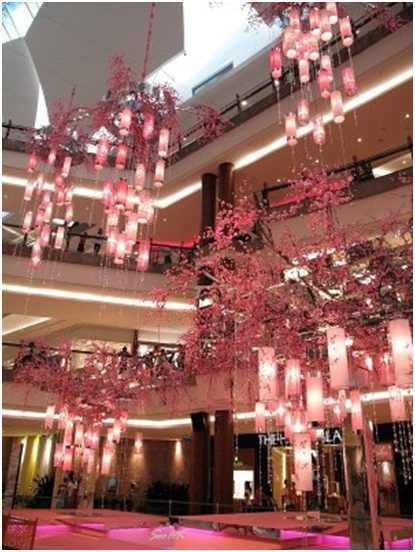 The Ribbon Girl: Theme is Pink and Green...they are giving LOTV Gift as prize for this challenge. Let's Ink It Up: Anything goes but must have stamping. Simon Says Stamp and Show: Show Polka dots. Polka Dots in my background paper. Simon Says Stamp Challenge: Simon says Bingo- use diagonal line fro Die-cuts, Flowers, Gems. Copic Creations: Challenge is What's New? My new is Basic Grey paper, crystals, and Copics R81,83,85. Thanks for stopping by. I hope that you like what you see. 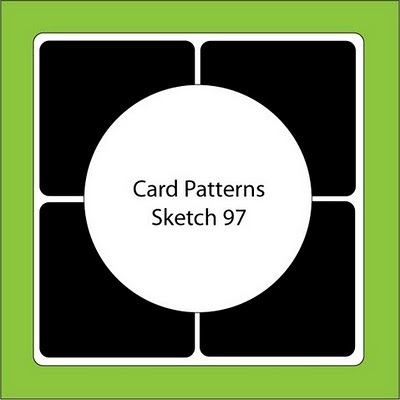 Simon Says "Make a card with a sketch". 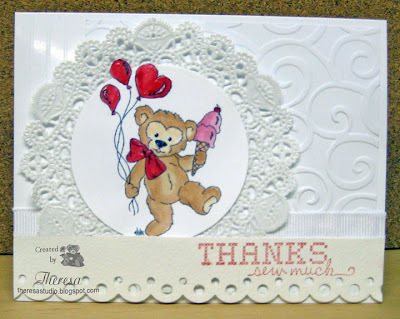 Decided to use their blog's sketch and "Popcorn Bear" stamp for this card. Switched around the embellishments a bit. Used cut out hearts with buttons and twine. Simon Says Stamp Challenge: Sketch seen to the right. Teddy Stampers: Theme is celebrations - I am celebrating Valentine's Day. Speedy the Cat's Friends Challenge: Use hearts. Craft Your Passion: Theme-Button up! Glenda's Random Amusing 100th Challenge: Use red on your card. Stamp: Crafters Companion "Popcorn Bear Thinking of You"
Buttons, Twine, and Ribbon from stash. This is a quick card that I made with only one layer. 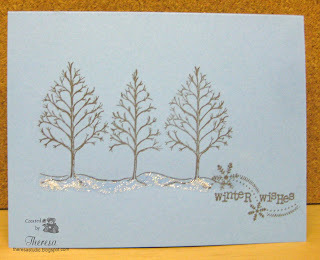 Stamped trees and winter wishes. Added some stickles. That was it! Voila! One Layer Wednesday: Use a Bare Plant. 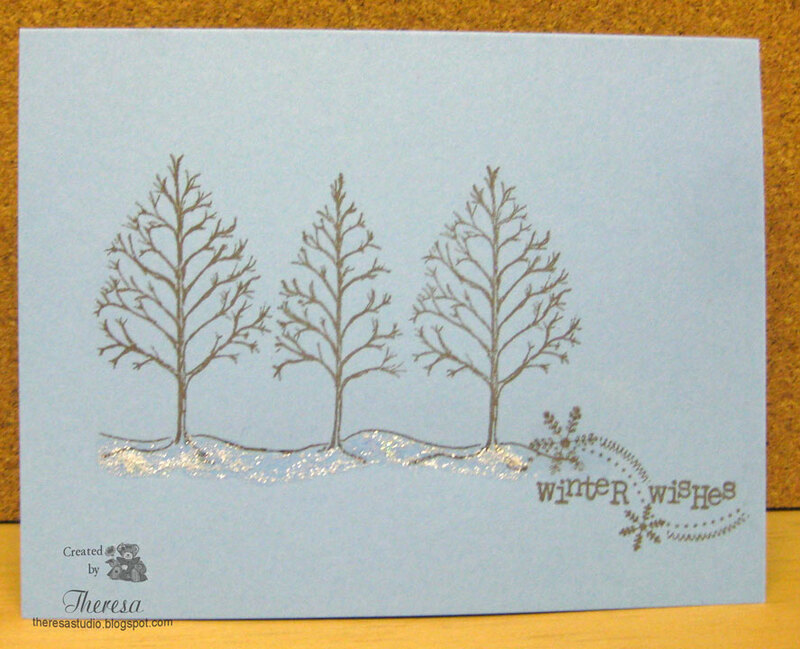 Stamp: GKD "Life is Good" (Trees), Unknown "Winter Wishes"
Another post today....this is a winter card for several challenges...yes...it is still winter. This cute snowman on the slopes is a digi from Sassy Cheryl that I colored with Copics and placed on top of some embossed papers. 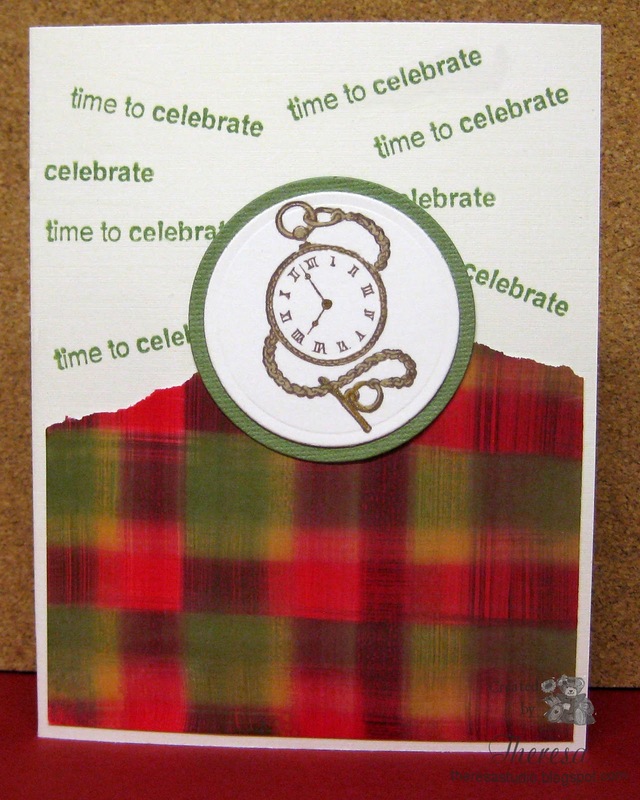 Used colors from the plaid design and finished with some ribbons. Sassy Cheryl's Challenge: Let It Snow! 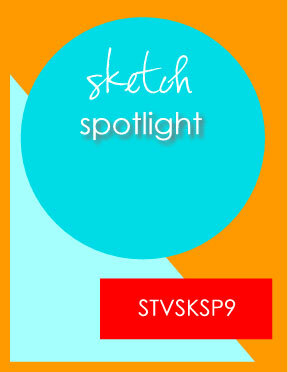 Our Creative Corner: Play dress up with the sketch shown on lower right. AllSorts Challenge: Use colors teal and Brown. These colors worked perfectly with my card. 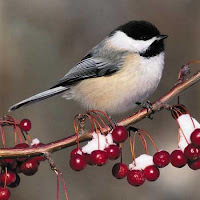 Sentimental Sunday: Winter with a Sentiment. Love the sentiment that I downloaded from this blog which is available free for this week. Welcome to my Studio. This is a Valentine card that I made for some challenges with heart theme, a sketch , and a red and white theme. I used a Camellia stamp from Mark's Finest Papers for the background and the focus image that I colored with Red Copics. 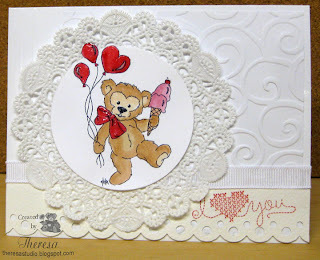 Annabelle Stamps Blog: Say it in red and white. Make it Colorful: Color with reds. Used copics R43, R46 - Colored to give look of veins on the camellia. Recycled some items in this card from a store bought card from my husband fro a year gone by. This is another version of a card that I made to use in challenges with a digital image and a heart theme. 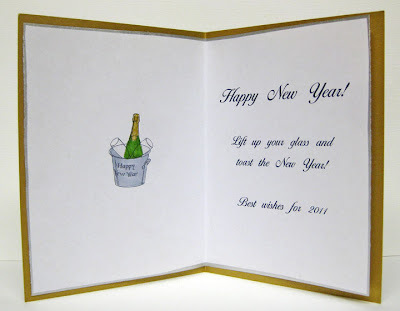 Digital Tuesday Challenge: Make an all white card with all white embellishments and white papers. Can use color in an image. Use a digital image. Digi Image: Paper Cupcakes "Simple Pleasures"
Stamp: GKD "Nana's Needleworks Sentiment"
Another card for the Challenge at There's Magic in the Air. Used a digi from Paper Cupcakes that I colored with Copics. 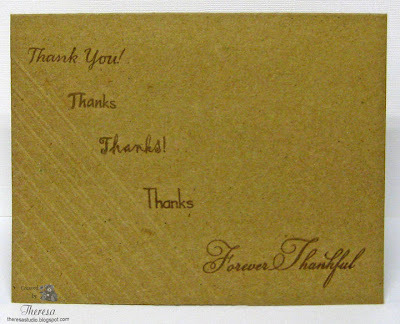 For the TMITA challenge to make a Thank You Card. Digi Image : Paper Cupcakes "Simple Pleasures"
Welcome to my Studio. 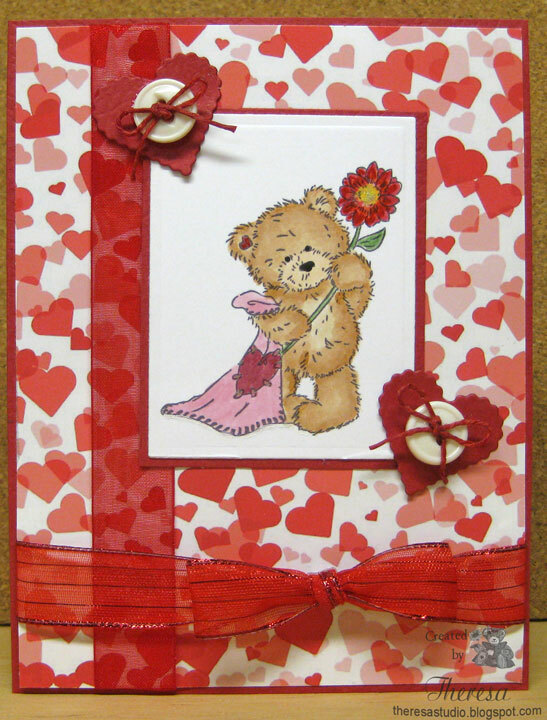 I made this Valentine card to enter into Joan's Gardens Challenge and used a Sketch from Bearly Mine Challenge. I have entered other challenges as well. Speedy the Cat's Friends Challenge: Use Hearts on your card. Cooking It Up with Katie: Make it for someone you Love. Use any form of Embossing. Add a little Pink. Embossing on two hearts. Wee Memories: Use ribbon on your project. Papers: Digital Papers-Stripes and Hearts download from Flower Soft. White CS and Pink CS from stash and scraps. Sending you love for Valentine's Day. 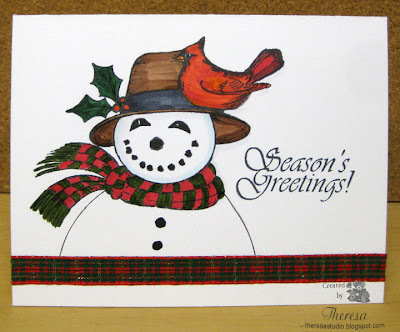 Christmas Card Challenges: Incorporate a snowman in your card. 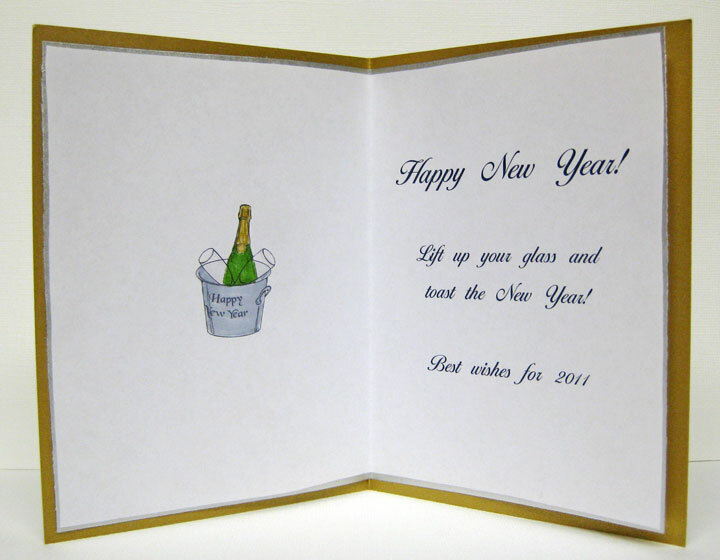 Christmas Cards All Year Round: For January-anything goes. Papertake Weekly Challenge: Cold and Frosty Mornings---use winter scenes. What's more frosty than a snowman? Wee Memories: Use ribbon on your projects. Who doesn't love basic Grey paper? I used some scraps to make this card which turned out to be a Valentine....time to get some cards made for that special day. Used a sketch from Card Patterns to tie everything together. Lot of "tieing" in this card. Basic Grey Challenges: Dots or spots. Used Olivia patterned papers. Secret Crafter Saturday Challenge: Use tons of Texture. May not be tons but have texture in dry embossing on card base, texture of the wrapped twine and bow, and metal of the cupid charm. Wee Memories Challenge: Design with some twine. Mat is wrapped with twine and tied on a bow. The Paper Players Challenge: Theme is Valentine's Day. Craft Your Passion Challenge: Theme is to tie one on. Twine is tied around white mat and in a bow on heart. Paper: Basic Grey Olivia; White, Green, Pink CS from stash and scraps. Thanks for dropping by...still snowing here and a gloomy day. Back for another post as I am trying to catch up with some challenges. 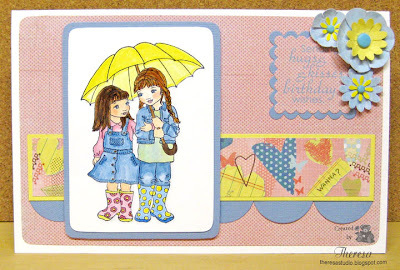 This card I made for Annabelle's Blog and Card Positioning Sketch. 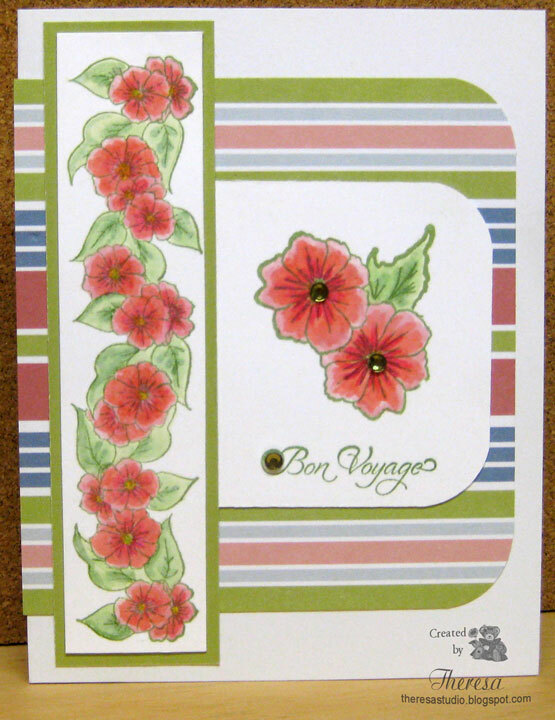 Stamped flower border with green ink and colored with Copics. Trimmed to fit on a narrow green strip. Cut mat of stripes that I layered on base. Stamped 2 flowers and leaves and also colored with Copics. 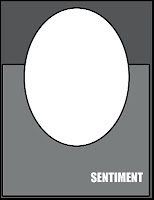 Stamped sentiment. 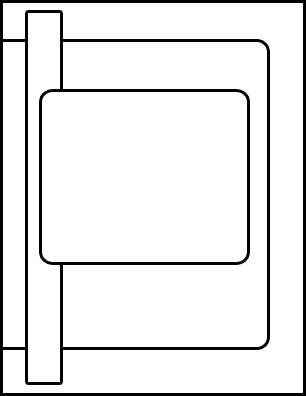 Assembled card following sketch shown lower right with 3 gems. 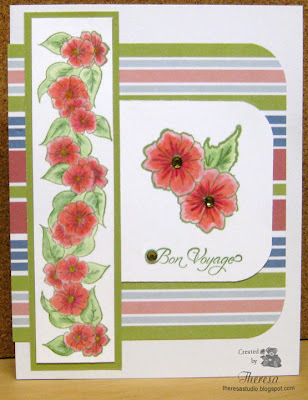 Alphabet Challenge Blog: J is for Journey--card is for someone about to take a trip. 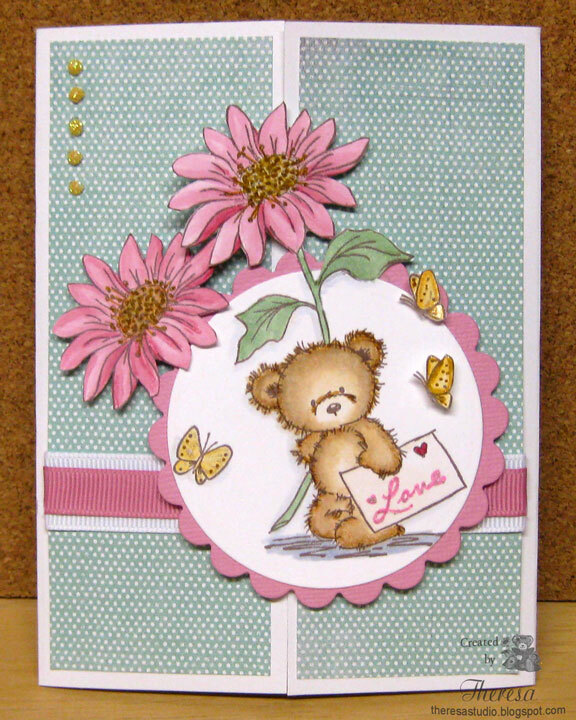 Stamps: GKD "A Year of Borders", "Buds and Vases" and "Fanciful Tags"
This is my second card for today using another cute Digi, "Bear Hug"...this one is from Phindy's Place. I chose it because this little girl is celebrating the love for her Teddy Bear which is a love that lasts forever. I colored the image with Copics using some of the new pinks that I received for Christmas. Used distress inks and sponging on card base and mats to give a Distressed Look. I first colored the image and then used scraps for my layout...love how I found colors to coordinate with the image especially the colors used on the bow. How lucky was that? Phindy's Place Challenge: Use distressing. Stamp Something: Use a digi. 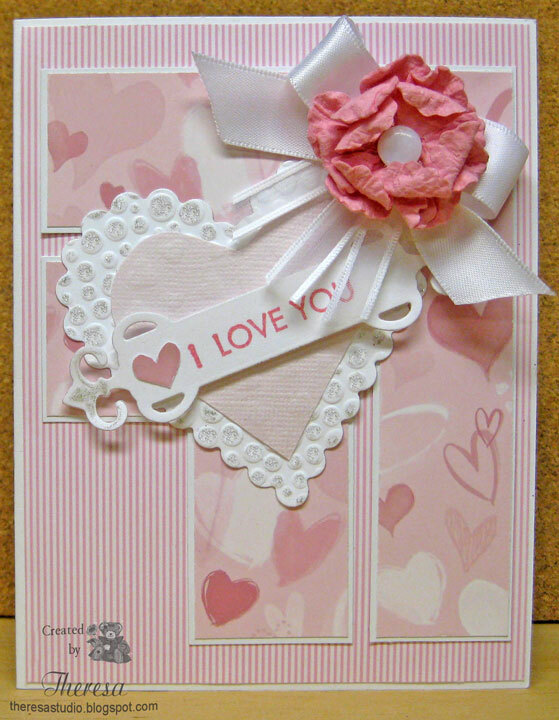 Scrap Creations: Theme is "Love Is In The Air". Do You Stack Up: Distress it. New challenge blog to me. 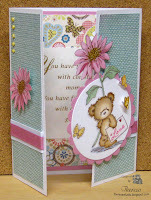 One Stop Craft Challenge: Card for a child. 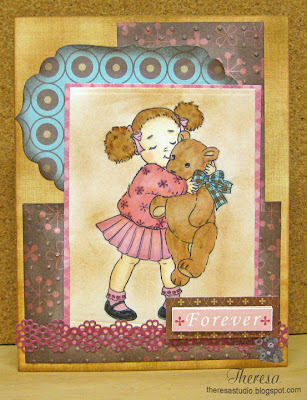 Digi: Phindy's Digi Stamps "Bear Hug"
Papers: Ivory CS from Stash, Patterns from Stash and Scraps. 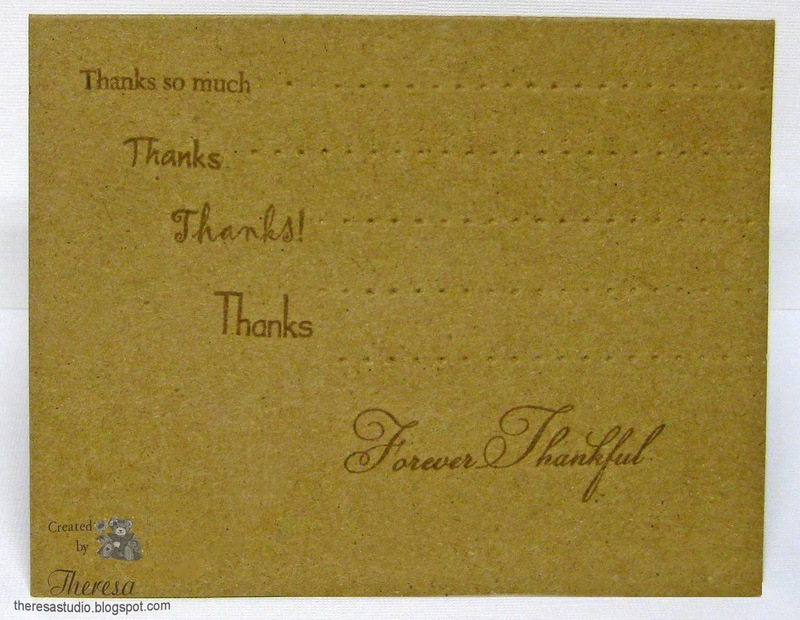 Stick on sentiment "Forever"...came with patterned papers..unknown. Welcome to my studio. I made this card with a lovely digi from Paper Cupcakes and a sketch from Beary Sweet Challenges. I colored the poppies with Copics and the centers with Atyou Spica pen. There's Magic in the Air: Nina challenged us to make a thank you card and mail it to someone. Stamp Something: Use a digi. My image is a digi. Crazy 4 Challenges: Use Photo for color inspiration. See Lower right. Cupcake Craft Challenge: Theme is Something New. I used some new Copics that I received for Christmas. Pollycraft Monday Challenge: Use New Things. Used new copics. Kaboodle Doodles Challenge: Do it with Digis. 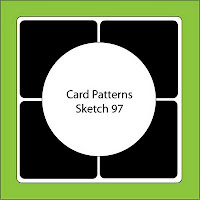 Meljens Challenge: Make a square or round card. Rub on: Karen Foster "Thank You"
Welcome. Trying to get back in the grove entering some challenges. 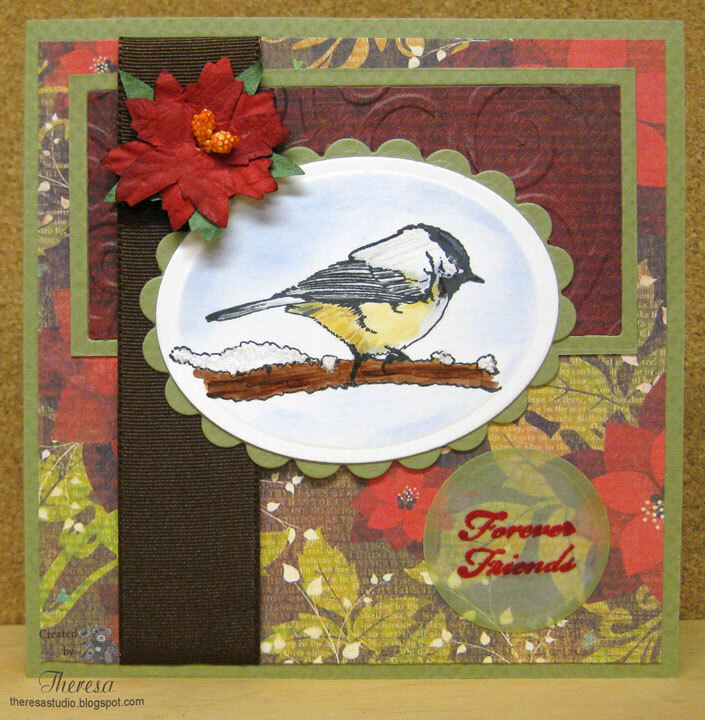 This card is made with a Chickadee stamp that I colored with Copics and sponged the background of the image with blue ink. Added some stickles and Glossy Accents. 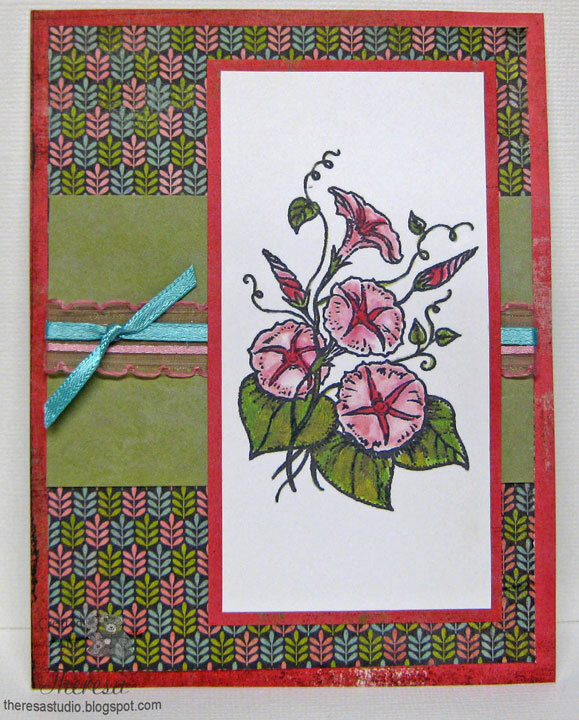 Used card base of textured green CS and mats of floral pattern matted on green. Stamped and heat embossed sentiment on a circle of Vellum ..used this so as not to cover up so much of the pattern...and attached with Vellum tape. Assembled the card following sketch shown lower right and used brown ribbon and poinsettia flower to finish. Made envelope and lined with floral paper to fit the 5X5" card. of my norm and also used Vellum which I never heat embossed...did not know I could do til I tried. 4. Use some kind of Die. 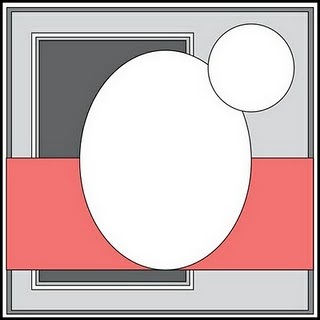 Used rectangles, circle and ovals. Speedy the Cat's Friends Challenge: Use some kind of embossing. 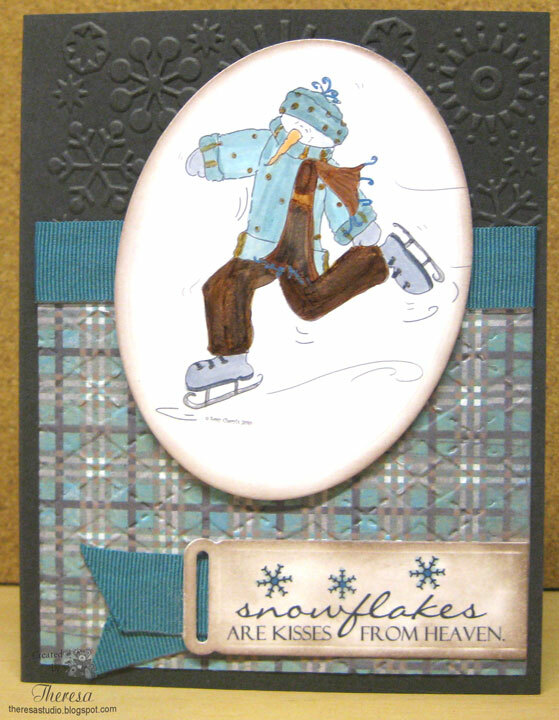 Used dry embossing on background strip and heat embossing on Sentiment. Just Us Girls: 1. Make a card 2. 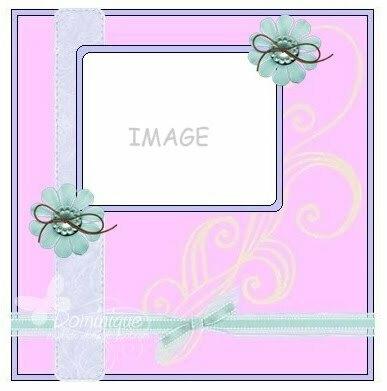 Decorate your envelope to match/coordinate with your card. 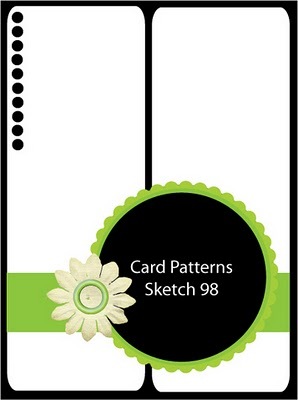 3.Create a liner for your envelope to coordinate with your card. Sentimental Sundays: Challenge is Anything with Wings plus sentiment. 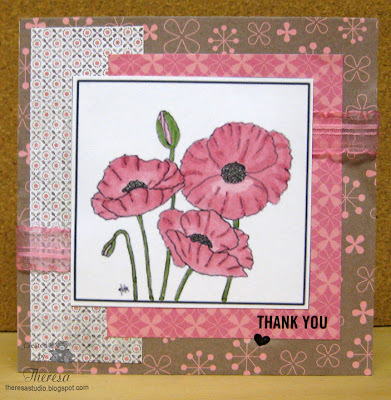 ﻿﻿Cute Card Thursday Challenge: Out with the old-use up some old stash. Used old green CS, ribbon, and poinsettia that I have had for years. Friday Sketchers: Sketch 136...turned to use. Papers: Green CS from Stash. Basis Grey Jovial Patterns. Clear Vellum from Stash. 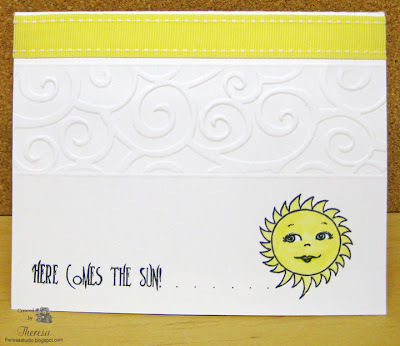 My card says "Here Comes the Sun" but we have no sunshine in our parts! Where can it be? I have missed the sun and doing the One Layer Challenges at Simplicity and just had to do this one - to use the color yellow on a one-layer card. I need some yellow in my life to brighten up the grey skies here in Ohio. What better stamps to use than these new ones from Mark's Finest Papers from the "Hello Sunshine" set. First time to see ink. Speedy the Cat's Friends Challenge #36: Use something new....stamps are new. 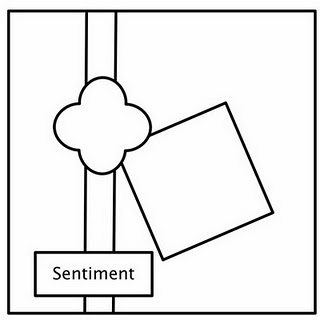 Really Reasonable Ribbon: Something new with ribbon. Stamps are new. 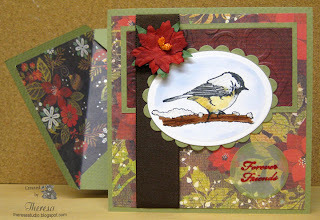 PaperPlay Challenge: Clean and Simple....not any more simple than an one layer card. Welcome. This is a different look for me using a some what different color combination. I took my color inspiration from the pattern paper in the Basic Grey Olivia paper pad.. I used a Flourishes Stamp of morning glories from Calendar Set 2 that I stamped with Memento Tuxedo Black ink on GKD PL White CS and colored with Copics and cut and matted on Pink CS from the paper pad. 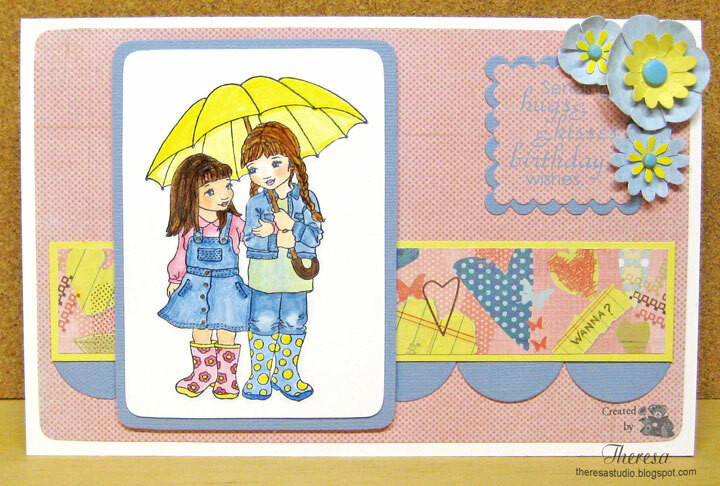 I used other papers from this same paper pad to complete the card following a Just Us Girls sketch. Added pink and turquoise ribbon to complete. Really Reasonable Ribbon: Use Something New and Ribbon. Paper is new. This card is for the challenge at Sentimental Sundays to Celebrate Friendship. 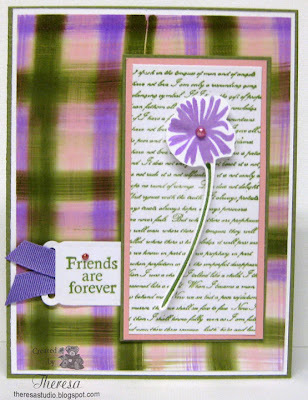 Used sentiment stamp from GKD "Friends are Forever" and a script stamp from GKD "Botanicals". Used a background that I made with the baby wipe technique using SU inks Orchid Opulence, Old Olive, and Pretty in Pink. Card Stocks are from stash and scraps. Added touch of ribbon and pearls colored with Copic R85. Used Nesties Rectangles and Spellbinder Ribbon Tag Dies. Welcome to my first birthday card post of 2011. I made this card and matching box using some new stamps that I received for Christmas. 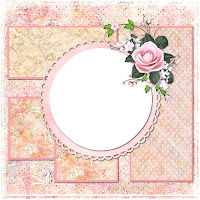 The new stamps are Heartfelt Creations HCPC2262 Grandiflora Rose and HCPC3319 Stems. 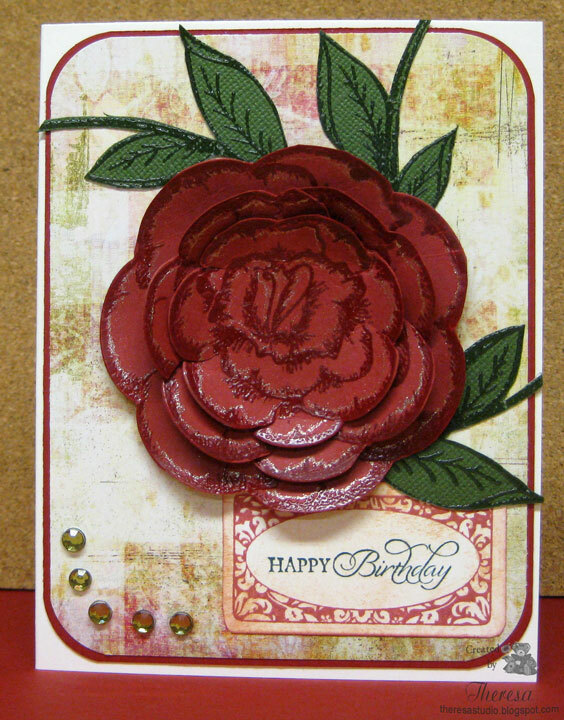 For the card, I stamped 3 roses of varying sizes using Versamark on GKD Lipstick Red CS and heat embossed with Clear EP. 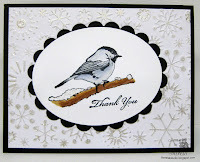 I cut these out with Nesties Blossom Dies that I have had for awhile but never used. I shaped the flowers and layered together using scor-tape. Added some glitter around the petals using Sakura Glitter pen. I stamped the leaves on green CS scraps also using Versamark and Clear EP. Cut these out and attached to the rose. I stamped the Birthday sentiment from GKD Fanciful Tags by Nina using Memento Rhubarb Stalk and SU Handsome Hunter inks. Cut this out with Spellbinder Fancy Tags but trimmed off the fancy ends. 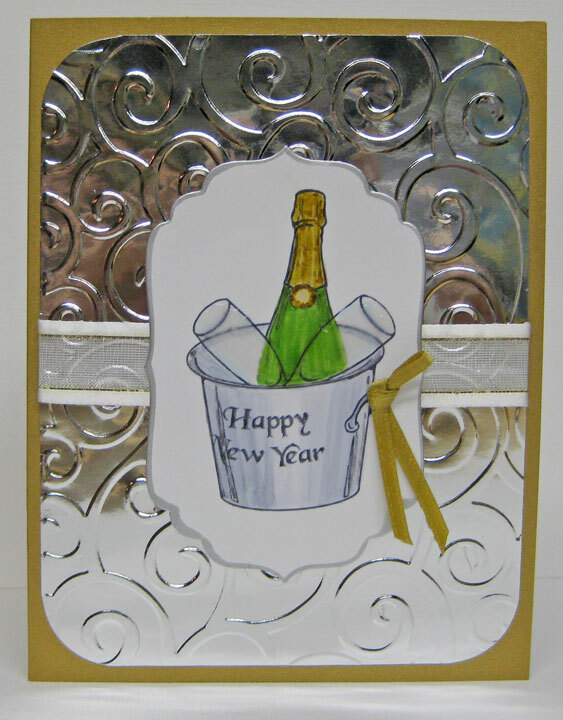 Assembled the card following Annabelle Sketch Challenge ABSC033 for January. Used GKD PL Ivory and Lipstick Red CS and Basic Grey Jovial Patterned paper for layers. Attached the rose and sentiment and finished with Green Rhinestone Bling. Love how this came together...can you tell the patterned paper was really designed as a Christmas paper? But love how the colors look together. 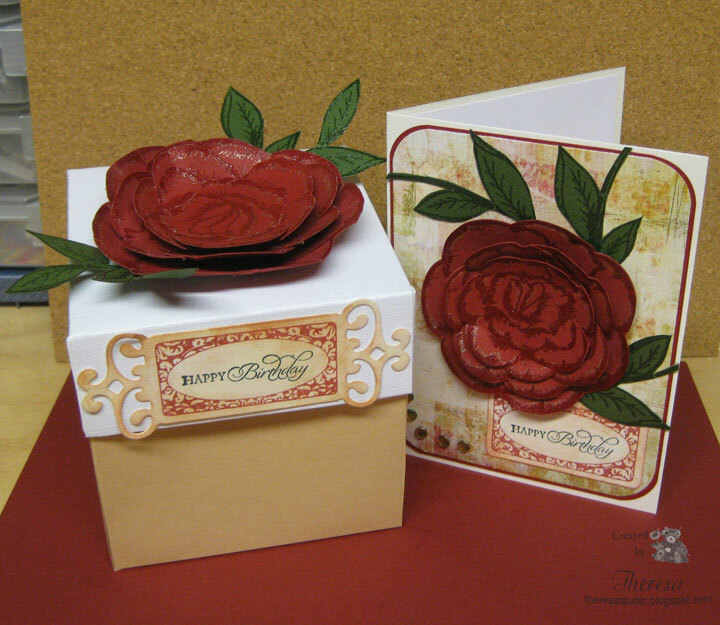 I created the box from white and beige CS and made the rose same as one on the card. Stamp Something: Something with glitter...edges of roses are glittered. 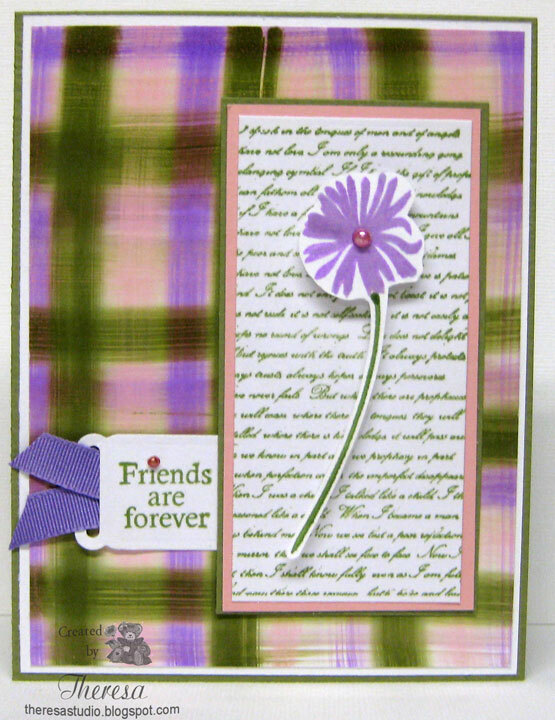 Speedy the Cat's Friends Challenge: Use something new....Stamps are new from HFC. Simon Says Stamp and Show: Show your newest stamps. New are the HFC stamps. 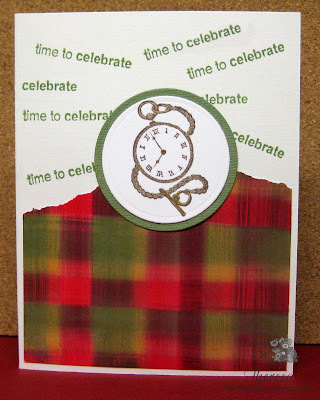 Fussy and Fancy Friday Challenge: Make celebration card and matching 3D gift. This card is for my SIL who celebrates her birthday January 8. I made this card but failed to post in time for the challenges' deadline for which I made it, but I found some other challenges to enter. Used a sketch from Tuesday AM sketches for the design. Used background that I made with a baby wipe that I had leftover from another challenge. Used GKD Ivory CS as base card and stamped randomly with a GKD stamp from "Candles for your Cake" by Melanie using Memento Green. Stamped a ivory circle with watch stamp from Just For Fun Stamps with Memento Rich Cocoa and matted on a green (from scraps) circle. Colored the watch with a new gold Copic pen and Atyou Spica pen that I received for Christmas. Kaboodle Doodles Challenge: Anything goes. Had planned this for their challenge last week but works for me this week too. 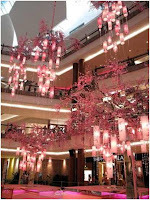 For Fun Challenges: Theme is New Year...my third and final entry for this challenge. Paper Pretties: Ring in the New Year-silver and gold gives this a certain ring!